Get your heart pumping in the skies of Hawaii! While Hawaii may be famous for its relaxing and laid back vibe, it is also full of adventure! Fly through the sky on a heart-racing zip line experience and see many of the natural beauties the islands have to offer from a whole new perspective. This is the ideal outdoor activity for any fun-loving thrill-seeker and is becoming one of the most popular things to do on a Hawaiian holiday! Zip lining is an activity that the whole family can enjoy with most companies across the islands of Hawaii offering experiences for both the more daring and those just starting out. There are easier and more gentle zip lining options for people who are little less adventurous or have never done it before. With rope bridges, aerial tree platforms and exciting rappels you will have plenty of fun while feeling safe, secure and perfectly at ease. For those seeking a real adrenaline rush, there are longer, higher and faster zip lining options to get the heart pumping! Soar over a 250ft waterfall on the Big Island! Skyline Akaka Falls was voted the #1 Zip line Tour in Hawaii for 2017 and provides opportunities to be thrilled and amazed while soaring on seven diverse zip lines. With guides sharing stories of Hawaiian culture you will leave the experience not only with a serious adrenaline rush but also some new knowledge too! The tour is located below Akaka Falls State Park on the Honomu Coast and guests fly above two incredible waterfalls, including the KoleKole waterfall – a major highlight of any Big Island vacation! Enjoy a thrilling adventure soaring over beautiful tropical plantations in Maui. 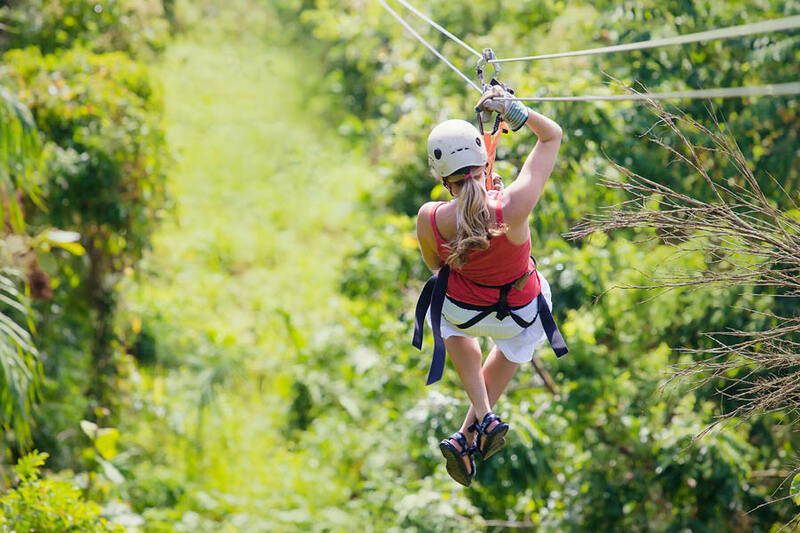 Maui Zipline is the islands newest and most family friendly zip line course in which visitor’s soar over a lush landscape, swaying palms and can savour the majestic views of the valley isle. With five side-by-side zip lines, ranging from 300 to 900 feet, this is a tour that everyone will be able to enjoy while in Hawaii.